…a few months ago when I started up my weekly Blab show, Laugh & Learn. 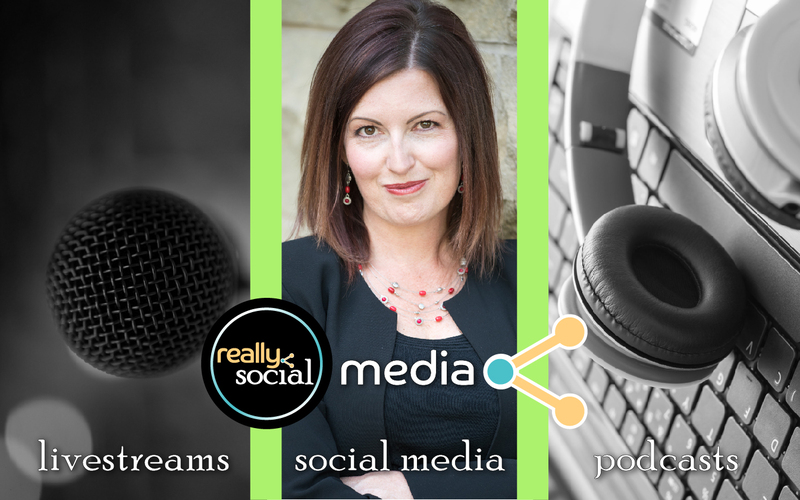 While I adore Blab, Twitter is still my daily go-to social media platform. Part of my leaning toward the tool of 140 character limits comes from these awesome, lively conversations known as Twitter Chats. Starting last fall, I began to dip my toe into a few Twitter Chats in an effort to learn more from social media influencers and increase my engagement. Dipping ultimately turned into full submersion as I tweeted full throttle in chats like #ViralChat, #MediaChat, #SocialRoadTrip, #InfluencerChat, and a few others. As I dedicated more effort into livestreaming video, I noticed that there really weren’t any Twitter Chats dedicated to the topic. Sure, they’d come up based on a guest or isolated weekly topic in an existing Chat, but Twitter didn’t seem to have a home for a dedicated conversation about livestreaming. Now, let me pause a moment and voice what you might be thinking: Rachel, it’s livestreaming video. Twitter doesn’t natively host livestreaming video, though it will display a live Periscope broadcast. So why would a Twitter Chat about livestreaming video be relevant? I hear you. That, in addition to the commitment of time and energy it would take to get a Twitter Chat started, all seemed like great reasons to sit back and let someone else figure it out. Oh, and one more thing: have you ever searched for hashtags including words like “live” and “video?” If you do, make sure you’re not on a computer where browsing history will matter. This brings us to a few weeks ago when another Twitter Chat came on to the scene: #ChatSnap. I recall seeing the promotions for it and learning about how its host, Kristy Gillentine, was encouraged by our mutual friend Madalyn Sklar to “just go for it!” She did, and #ChatSnap has been a resounding success: filling a need by taking a leap. That was it for me. I’m an entrepreneur, and a lover of change, which means pulling the trigger doesn’t take much prompting. A week ago, I decided to “go for it” and today will be the first of many #LetsLivestream Twitter Chats (Wednesdays, 3pm ET). Want to save your livestream video for other uses? Click on the tool icon below to see a short how-to video. Is there anything you’ve been wanting to do but just aren’t sure if you should take the first step? Share it in a comment below; you may be surprised at how the reasons why outnumber the reasons why not.